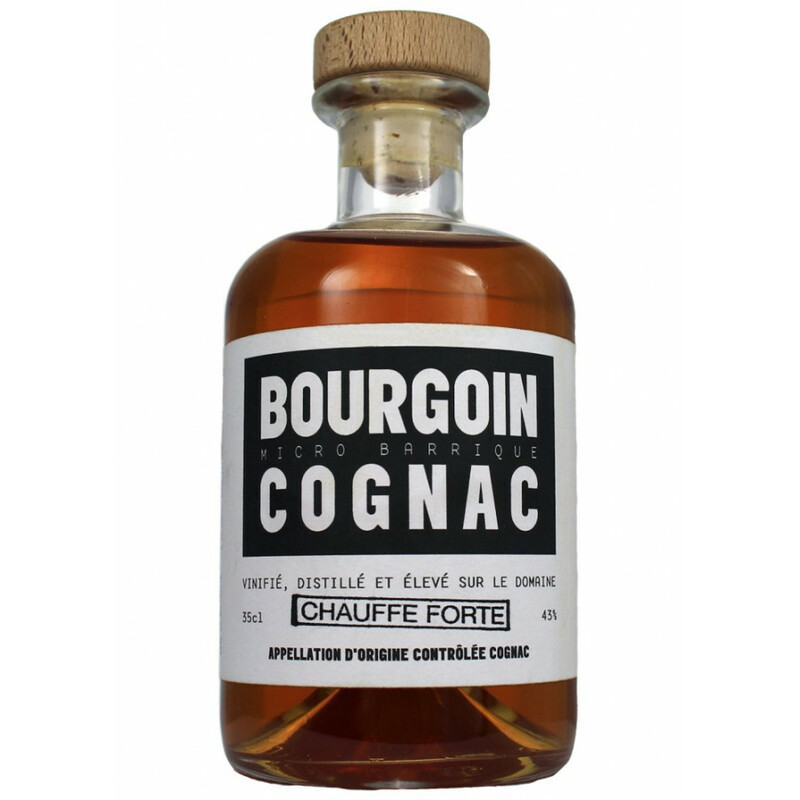 Bourgoin XO Micro Barrique Cognac is one of the exlusively small range available from this artisan cognac house. Made from Ugni Blanc grapes, the eaux-de-vies that have gone into creating this blend all finished off the aging process in 10 liter micro-barrels. These small barrels have the effect of gently teasing the subtle aromas of the wood into the liquid within. This in turn creates a rather unique cognac. Flavors abound in this Fins Bois cognac, and at 43% is slightly stronger than the regular strength you associate with cognac in general. The bottle, at 35cl, is also somewhat contemporary. With its large stopper, apocathary-like shape, and bold label, it'll certainly be a talking point when you bring it to the dinner table. A great cognac for those who enjoy trying something new.